The Motor Vehicles Act 1988 of India mandates the car insurance for all vehicles which intend to be on road. These car insurances are valid for one year and needs a yearly renewal. 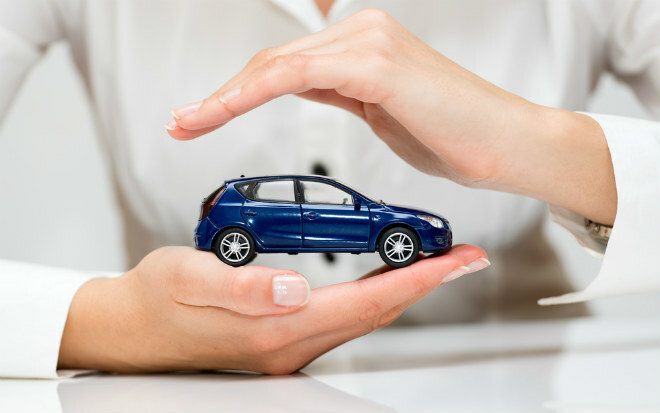 The amount of insurance is calculated based on the Insurance Declared Value (IDV) of the car. The premium depends on the type of insurance. The premium for Comprehensive policy is much higher as compared to the premium for Third Party Insurance. If you have car insurance and it is about to get expired, it is time to renew your car insurance. Renewal on right time will ensure the coverage and protection from theft, burglary, natural calamities, accidents and medical expenses involving your car. Most of the insurers send a reminder notice for the renewal at this point of time, either through a letter, an e-mail or by calling. And nearing the end of the term is the right time for you to review the existing policy. (1) Check the Premium Amount–Car insurance premium is calculated based on the IDV. When you buy insurance for your new car and wish to opt for a comprehensive coverage, you pay a higher premium. . But, when it comes to renew your car insurance, you need to verify the coverage offered in your policy versus the premium charged by the insurer. The renewal is the perfect time to shop around for your policy from different insurance companies and get a competitive pricing deal from the insurer that provides you the best offer. Many times companies reduce premium based on ‘No claim bonuses or eliminating ‘Zero Depreciation’ policy. Based on the offer, you can switch your insurer as well. In case of switching the insurance company, make sure to cancel the deal with the previous company. While switching the provider, you need to review the financial solvency of the company, customer relationship, claim-settlement ratio, featuresoffered in their policies and so on. (2) Negotiate Add-ons – For your next renewal, look for the add-on features that are available in the policy like Roadside Assistance, Zero depreciation coverage, No claim bonus etc. whichever works for your benefit. Optimize your premium with the coverage and add-on benefits. (3) Update your details – While you renew your car insurance, make sure all personal details are updated in the policy. Incorrect information might create hassle and even denial in case any claim needs to beregistered. Make sure that you renew the car insurance before it lapses. Some insurers give a grace period of few days to few weeks after the term is over. Coverage is ensured during this period too in case you miss out on the renewal.But the insurance companies do charge certain amount of fees and costs for you to get covered during the grace period. But, remember this would hamper your payment schedule to. Remember, that that not all the insurance companies have this facility. In case your insurance policy has lapsed, it is considered illegal to ply your vehicle on Indian roads till you either renew it or buy a fresh plan. With the advance of technology, the online renewal of car insurance policy is much easy, quick and simple. It saves time and the hassle to go physically to the insurer’s office and meet an agent to renew your policy. Considering the following benefits, you will be inclined to go online for your next car insurance renewal. (1)Time Saving – It is just few clicks away. Thus, going online will save a whole lot of time to travel to a physical location, stand in queue and meet the agents to renew your policy. Also, since there is no involvement of a broker, you save a lot of time, money as well as energy. (2)Available round the Clock – The option to renew car insurance online is always open. It makes sense to renew your car insurance online for an impending renewal.Once the form is filled and payment is done online, the e-copy of your policy is generated instantly. This avoids the hassles, time and gives you the renewed policy in no time. (3)Minimum Documentation – Online renewal requires very less documentation. The documents are required only in case of a claim. After weighing the pros and cons, if your insurance renewal is due in a few days, make sure you compare it online to avail the best deal. Then quickly fill in your details and purchase the policy online by availing an online payment option as well. It is not only the simplest but the cheapest and the best option available. With India moving pretty fast towards digitalization, you never know when offline renewals might become a thing of the past. So, it’s better to adapt now and avail the best deal for your car insurance renewal!